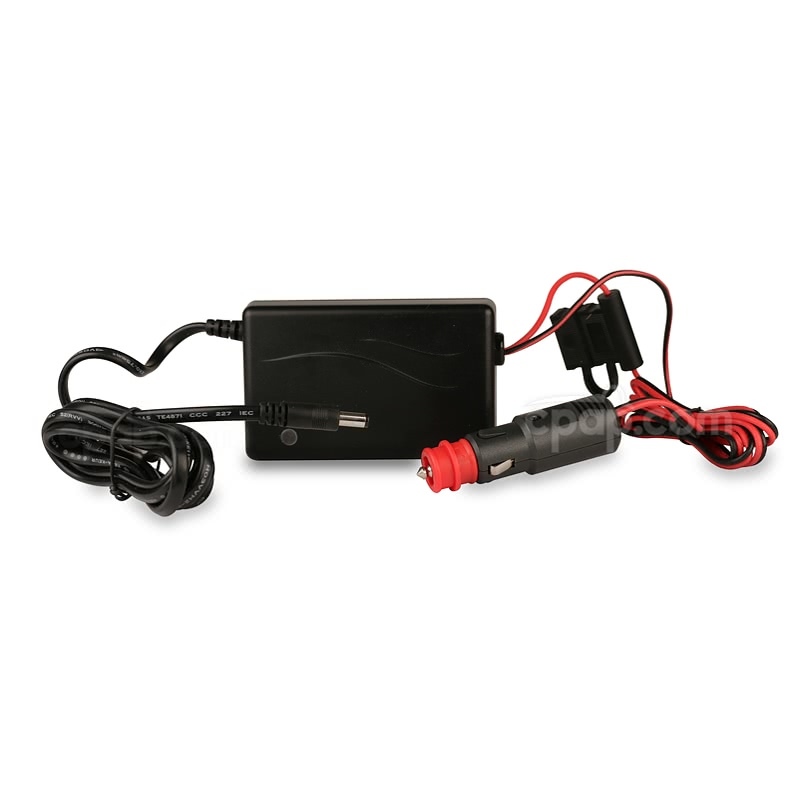 The DC Converter for S8 Machines allows a DC capable S8 or S8II machine to be powered from a DC power source with a cigarette-lighter style, power adapter plug. YOU MUST USE this type of DC-12 Converter when powering S8 machines through a DC battery source. Failure to do so can result in damage to your CPAP. 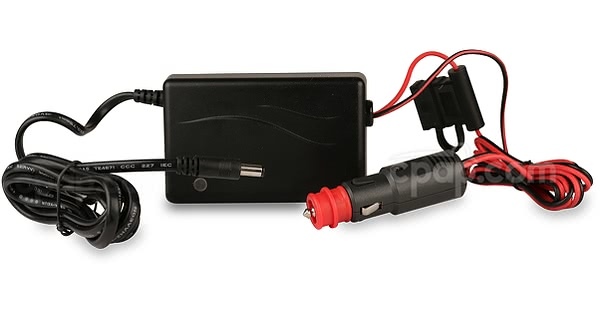 Important Note For RESmed S8 and S8 II Machine Alone Use: YOU MUST USE an appropriate converter such as this product to draw power directly from a DC battery source to connect to an S8 and S8II machine alone and provide power. Failure to do so can result in damage to your machine. Using a ResMed S8 machine with a Humidaire H3i or H4i: A pure AC power source is required in order for the humidifier to work properly. The machine disables the humidifier when connected through DC Power. Use a pure sine wave inverter to provide pure A/C power to power both the machine and heated humidifier. An example of this type of inverter: DC to AC Pure Sine Wave Power Inverter. ResMed VPAP Auto 25 and VPAP ST: ResMed VPAP Auto 25 and VPAP ST use a different cord, DC-24 Converter For ResMed. Refer to the Respironics Battery Kit for ResMed VPAP Auto 25, VPAP Malibu & VPAP ST Machines for a battery kit for these machines. These vehicle safety tips are written according to statements from the manufacturer. When the device is not in use, the DC converter should not be plugged into the vehicle. Observe battery capacity to avoid draining the vehicle's battery. The DC converter is safe for use with a running vehicle. The 12 volt is intended to be used with common systems that are "positive hot" and "negative ground" only. If these details are unknown, speak with the manufacturer of the vehicle.